KCET 2019 Notification is released by KCET 2019 Karnataka Examinations Authority (KEA). And Karnataka Common Entrance Test is a state level entrance exam. It is organised by Karnataka Examinations Authority (KEA) under the orders of Karnataka University. Furthermore, KEA released KCET 2019 Admission Notification on 12 January 2019. After which candidates can register themselves and fill the application form for KCET 2019. Candidates qualifying this exam can avail admission in various colleges across the state of Karnataka. The Examination date falls in 29 – 30 April 2019. 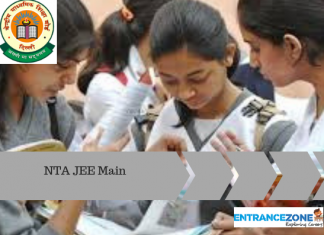 Read more to find out all the details regarding KCET 2019 admission notification. The kcet 2019 exam date are yet to be announced Karnataka Examinations Authority. Note: The official dates regarding exams are released. The candidate should have scanned Photographs, Signature of the candidate, Signature of parents, and left-hand thumbprint of the candidate ready while filling the form. Note: The photographs should not be older than six months it should be a recent photograph. Make sure it should be in the required specifications as mentioned on the website. The application form would be available to candidates on the online portal. Candidates should have completed 17 years of the academic year on or before 31st December 2017. Also, 50% is the minimum requirement of percentage for eligibility. But, eligibility percentage for SC/ST is 45%. Moreover, special category candidates would get 3 to 4 years of age relaxation. Further, every candidate must fulfil domicile criteria as stated by KEA. The exam will be conducted in ENGLISH language but the candidates would also be given a choice to attempt the exam in KANNADA language. 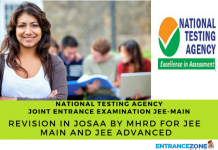 Other crucial information regarding this entrance exam has been provided below. Each subject will get 80 minutes. The test would have 180 MCQs. – 60 questions each subject. – Each correct answer will carry one mark and there will be the deduction of NO marks. NO online mode of an exam will take place. The exam would occur in OFFLINE mode i.e. Pen-Paper mode. The admit card would be made available to download for the candidates in the third week of April 2019 on the official web portal of KEA. Download and Read KCET Notification in English Here. And Read and Download KCET Notification in Kannada Here. Stay tuned with EntranceZone for more updates and information related to KCET 2019 Admission Notification. 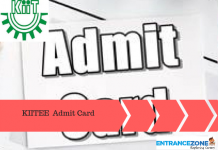 kcet 2019 registration, kcet 2019 application form, kcet online application 2019, kcet 2019 login, kcet login, cet 2019 karnataka, kcet 2019 syllabus, kcet 2019 date, kcet 2019 application date, kcet application form 2019, kcet 2019 registration date, kcet application form 2019 last date. 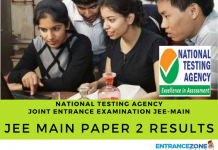 Previous articleHow one can prepare for JEE MAINS 2019 from Last year papers?